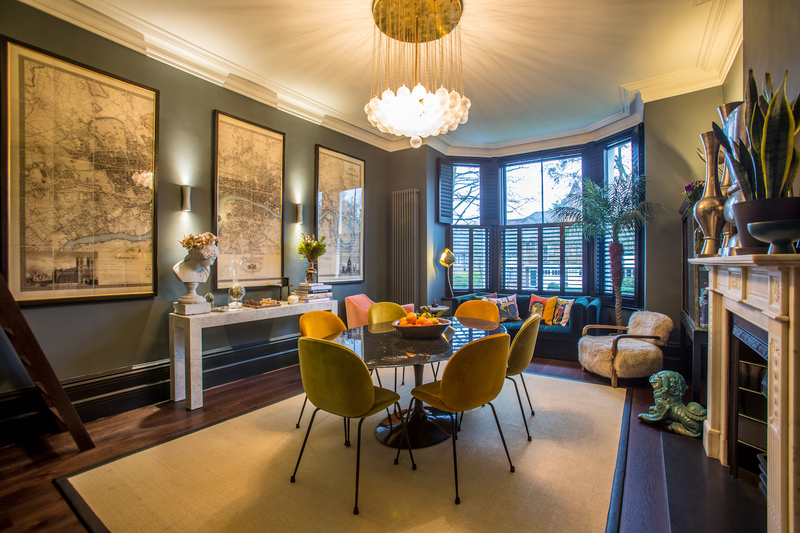 We have worked on many successful projects with Roger Crimlis of AUDB Architects, and it took a truly collaborative effort – mixing clever design, construction expertise and the clients’ great taste – to transform this apartment into a stunning showcase of traditional and contemporary luxury. 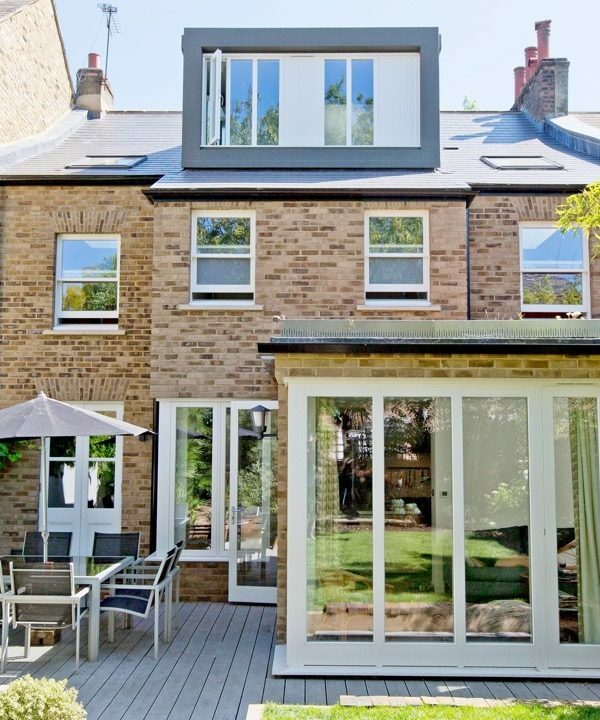 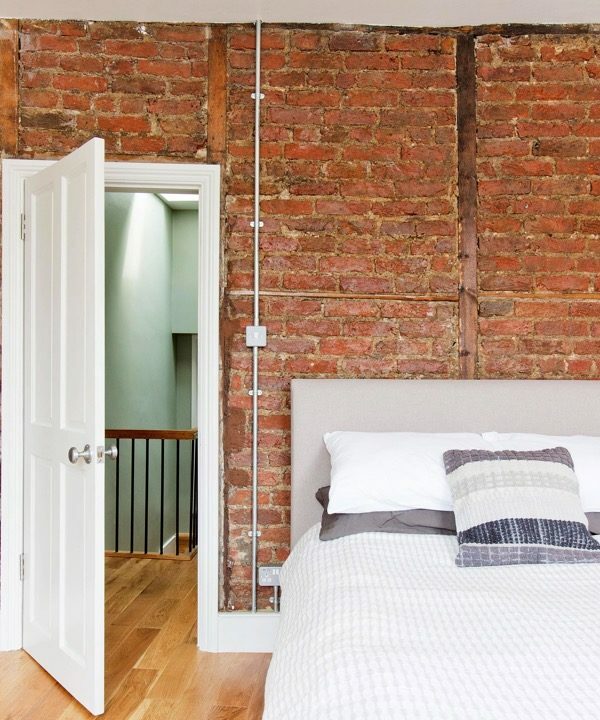 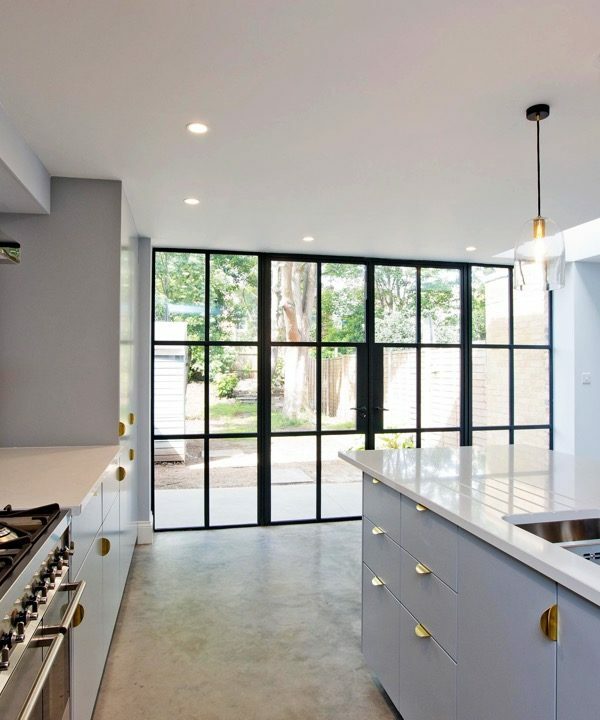 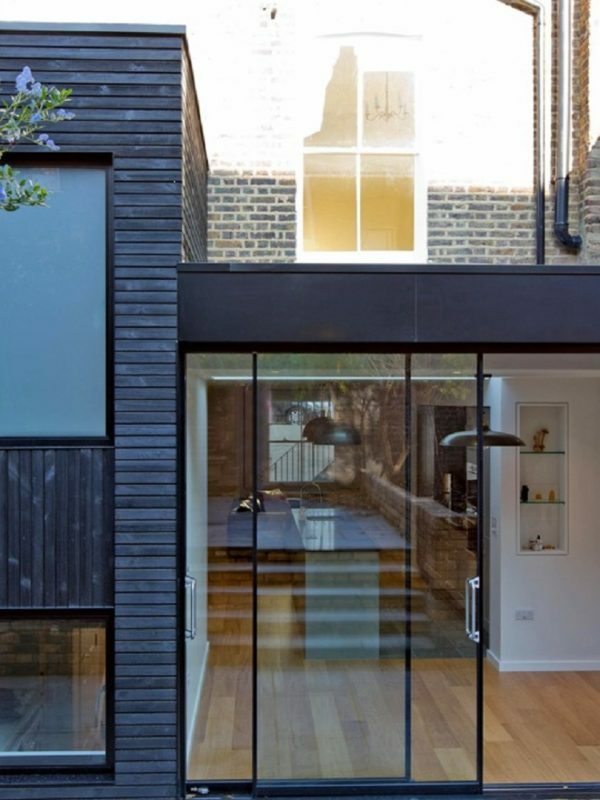 The concept was to enhance the original Victorian features and create the appearance of more space. 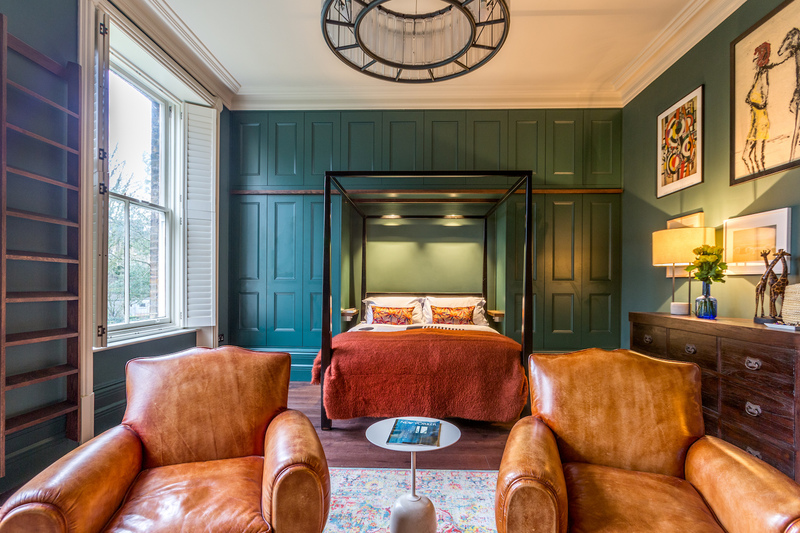 Structurally, the kitchen and WC/bathroom were switched around and the two bedrooms knocked into one sumptuous master suite. 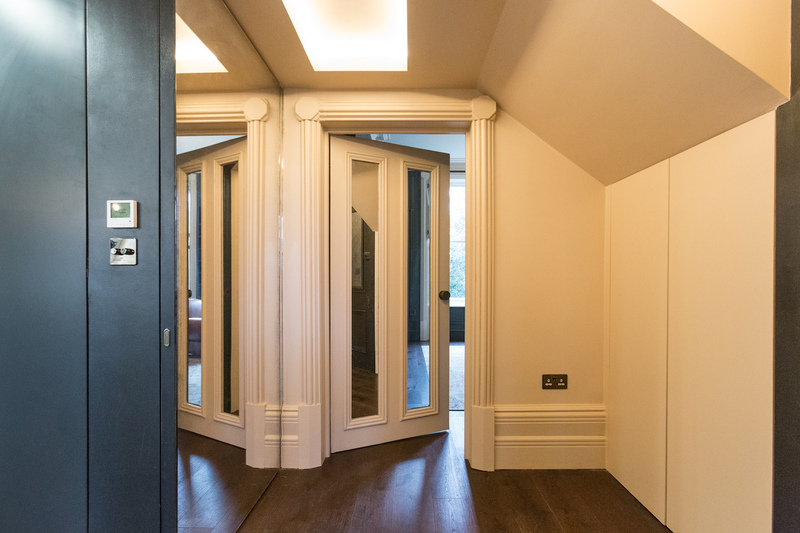 Mirrors were added to the hallway, the lighting scheme was carefully designed, and concealed doors were used to save space and simplify the aesthetic. 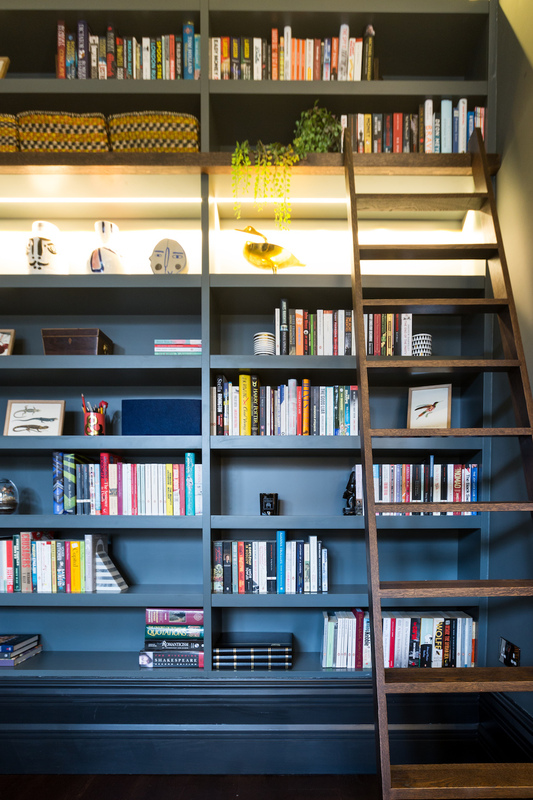 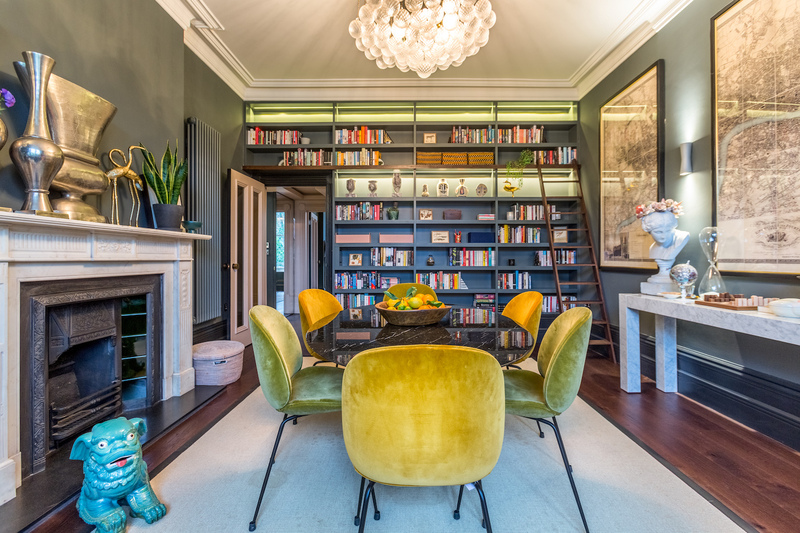 More stylish practicality was achieved through built-in storage made by our bespoke joiner: large paneled wardrobes and overhead storage in the bedroom and a full-width library bookcase in the reception room. 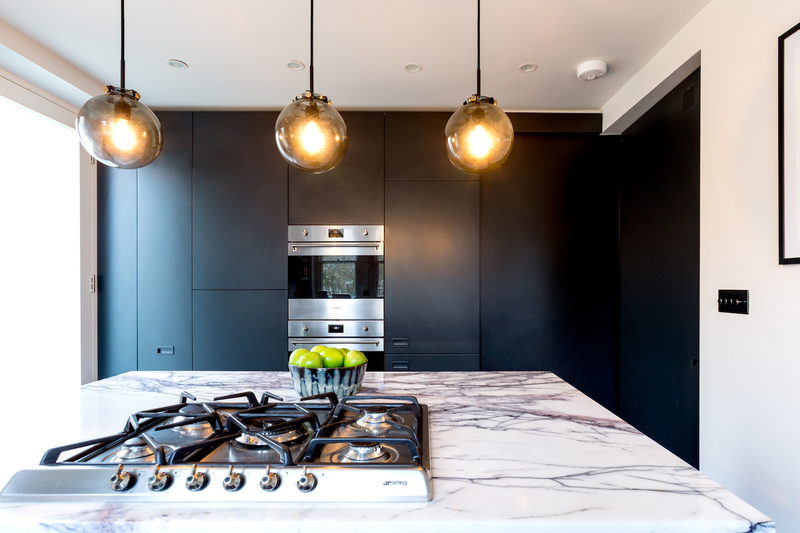 He also made the sleek kitchen units which, along with the island, are topped with a spectacular dark-veined marble. 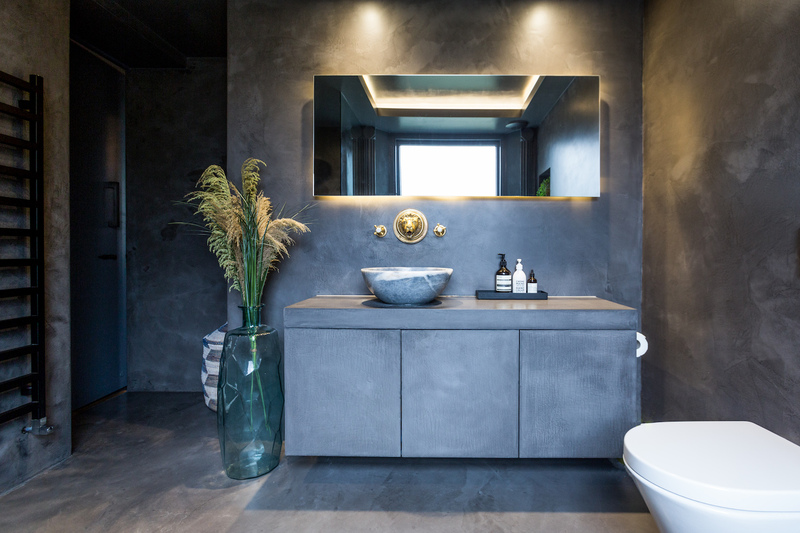 The new bathroom has a striking, on-trend micro-cement finish. 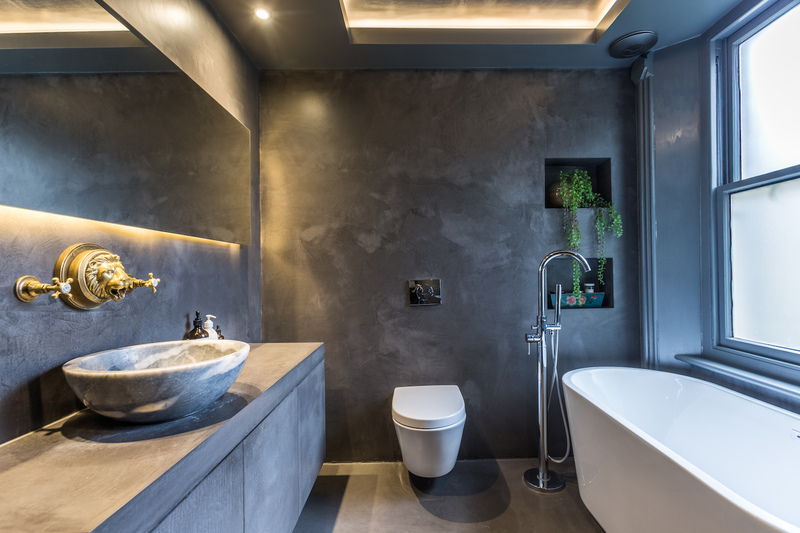 This specialist coating is thinly applied over plaster to achieve a concrete effect and is used here both on wall and floor surfaces and to cover the bespoke vanity unit made by our joiner. 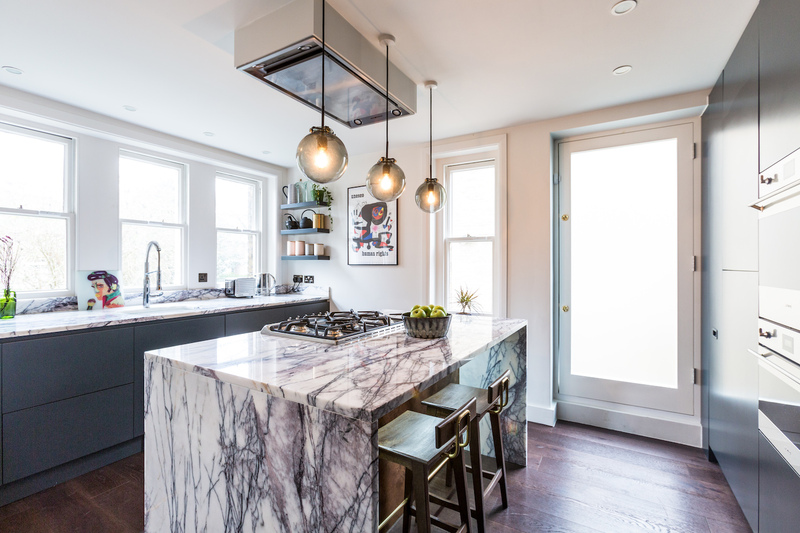 The marble fireplaces, skirting boards and cornicing were re-made in original Victorian styles. 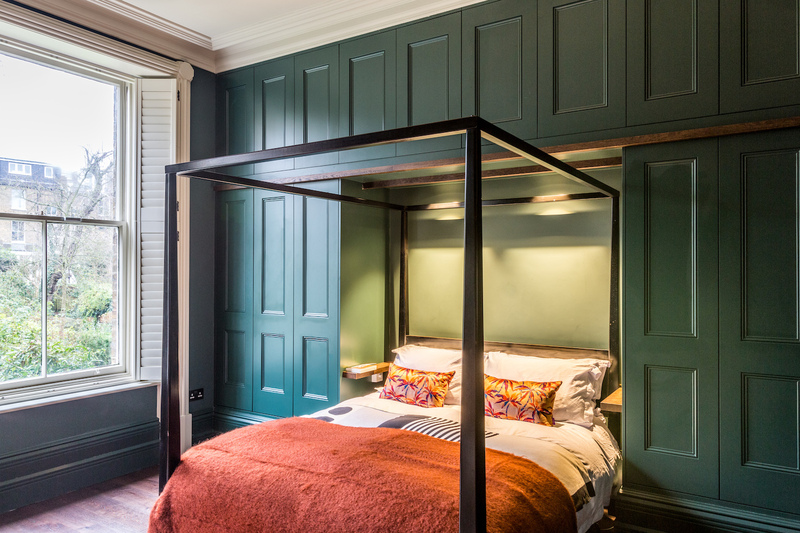 The bold, dark-coloured walls in each room – including matching spray-painted cast iron radiators – create the perfect canvas for the clients’ elegant furniture, lighting, artworks and ornaments.